500,- Euro…too expensive? 400,- Euro…too expensive? Then how about a HP 550? At 369,- Euro MSRP, Hewlett Packard has given the HP 550 FU408EA a clear place on the market and shows that even the cheapest entry-level offering should be mobile. In the following review we determine where HP has cut back and which tasks the bargain notebook is suited for. The HP 550 is based on the somewhat older HP 6720s and represents the previous version of the HP 6730s (Intel) / HP 6735s (AMD) . HP's first savings can be seen in the re-use of the older case and the availability of only one version, which has a Celeron M 550, 1GB of RAM, a 160GB hard drive and a GMA X3100. The only option available to customers is whether the system comes with or without Windows Vista Basic. 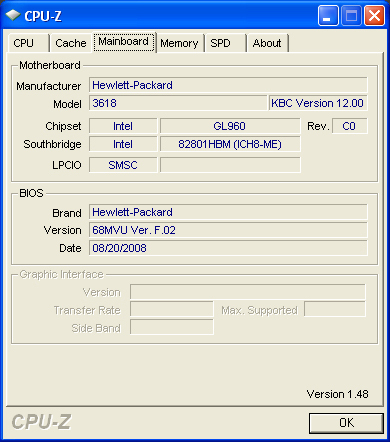 On the HP homepage another model is listed with hardware that is clearly better with an Intel Core 2 Duo T5670 processor, 2GB of RAM and Vista Business (NN308EA), however this is not currently known to be available at any well-known retailer. Currently we have the FreeDos economy version, which has a retail value of roughly 340,- Euro, on which we installed and tested the system with Windows XP Professional. We also took a brief look at Linux in the form of Ubuntu 8.1, a fairly popular and simple distribution of Linux, which represents a further saving potential, all the while offering a large range of applications and fucntions. For those who are upgrade-oriented, we added a further GB of RAM and took measurements of battery life with the optional 8-cell battery. 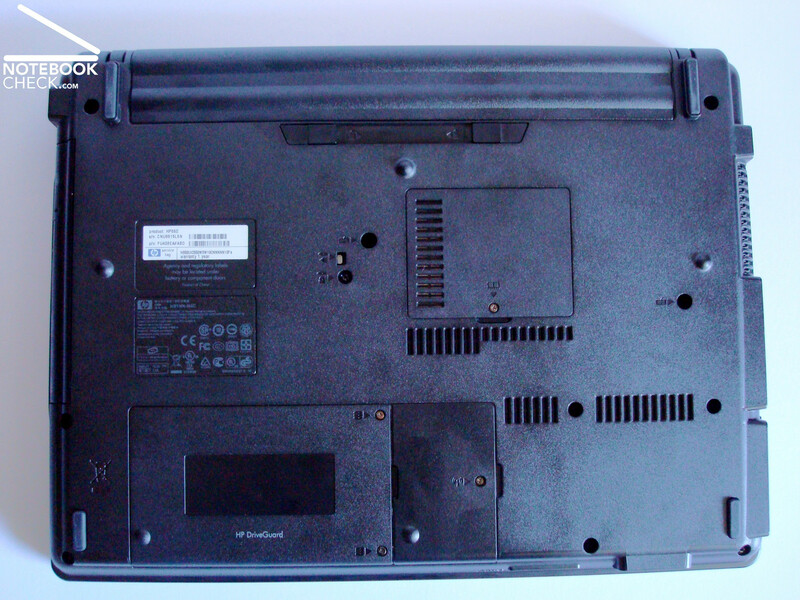 As previously mentioned, the case comes from the HP Compaq 6720s series, which finds its second home in the HP 550. The lid and the keyboard area is decorated with a shiny titanium-coloured plastic finish, which somewhat mixes up the overall appearance of the system, yet makes it no less business-like. The display area is coloured with a gritty grey plastic up to a shiny black border, and fits smoothly into the "understated" fell of the unit. Also, the underside is consistent with the gritty plastic design and, along with the rest of the case, can be considered easy to clean and low maintenance. Somewhat puzzling was the claimed weight of the system of 2.5 kg. The system we reviewed weighed 2.29 kg without its battery and with the 6-cell battery it weighed 2.62 kg, which is clearly more. Batteries which are smaller of with fewer cells, which would contribute to a reduction in weight, are not available. 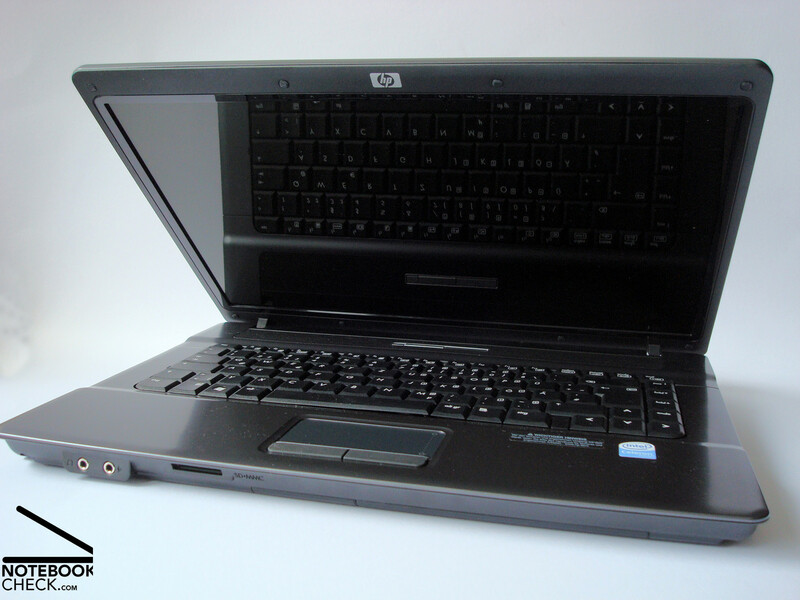 The quality of the case is barely different from that of our recently reviewed HP Compaq 6735s. The case shows the areas where HP has made further improvements and, conversely, where the HP 550 continues to struggle. The display of our review HP 550 had a rather displeasing resistance to pressure, and the underside loudspeakers also fell behind. Everything leaves clear impressions and is at times cringe-worthy due to other shortcomings. 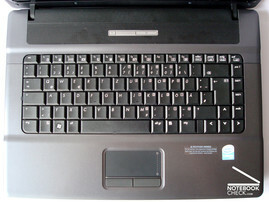 Also the layout of the function buttons above the keyboard is unconvincing, as well as the touchpad with different dimensions and protruding areas. The keyboard can be bent and pressurized throughout its entire width, because only some points of it seem to rest on the construction underneath it and nothing else. In addition, we were quick to criticize the latch for the display which is supposed to hold the chassis and the screen together in transport. Here you can find the ghost of the workmanship of the HP 6735s, which will surely have a negative impact in the long run. 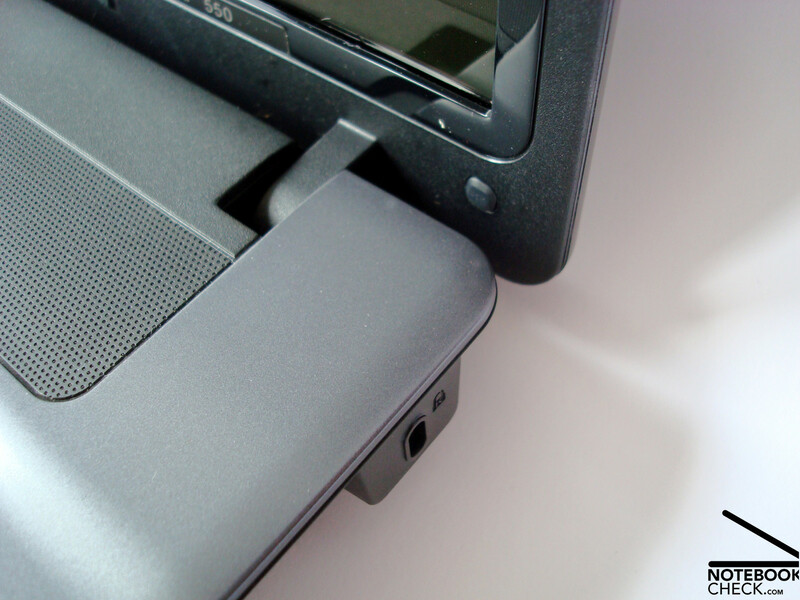 We also found it surprising that when the laptop is closed and carried about, the optical drive's tray would give slightly, giving the impression that it is loose. We also found the maximum opening angle of 135° surprising, which is impractical for working with the laptop on your lap. However, we appreciated the stability of the device, even without the battery attached, which facilitates the removal and protection of batteries in a network of HP 550 units. The interfaces are on a level akin to netbooks and all the while very basic. From the rather small interfaces to the Expresscard/54 and the outdated modem interface, the system won't exactly fly away. You also get 3 USB ports, an analogue VGA output, 10/100 Ethernet, a card reader (SD/MMC) and an Audio in/out. The Broadcom W-LAN module is used for wireless networking, which used the b/g standards. Bluetooth is not an option and if completely necessary must be provided by an external solution. 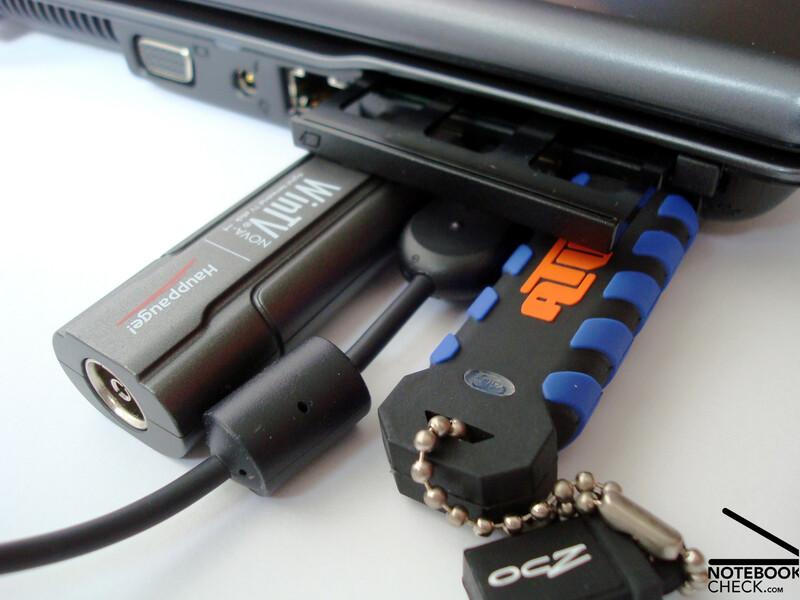 Faster connections like Firewire, eSata or typical business connections are not included and must instead be compensated for by USB or ExpressCard alternatives. HP offers consumers a variety of warranty-extension options and accessories on its Homepage, whose prices are, taking account of the price of the system, not justified. 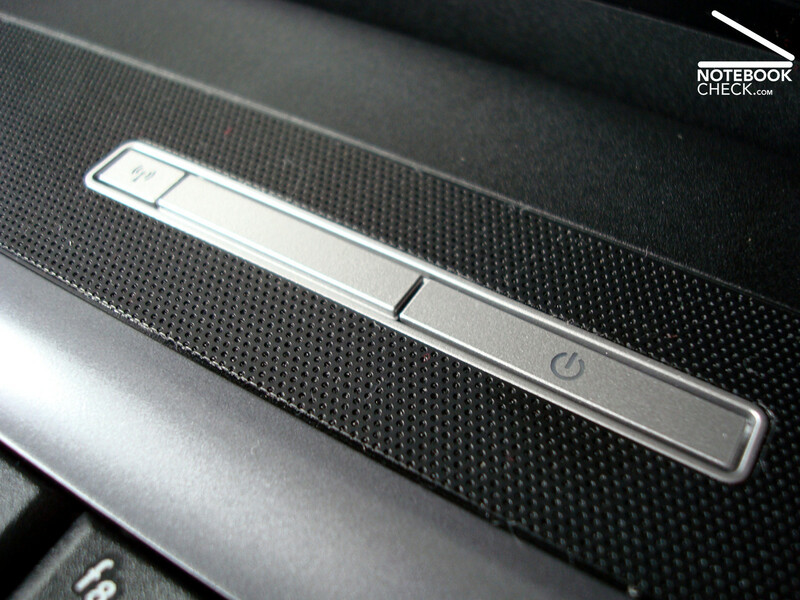 The positioning of the USB ports on the left-hand side was seen in a negative light. While in theory there are three USB connections, as soon as you plug in a device with excessive width, such as UMTS or DVB-T equipment, you'll find that one connection is blocked by the other. 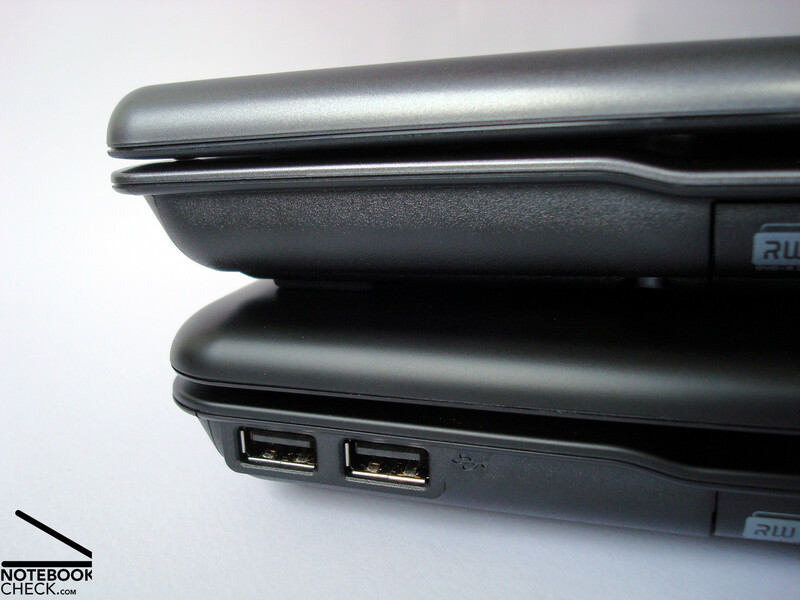 In this case, you would need USB extension cables in order to make comfortably use three USB devices. 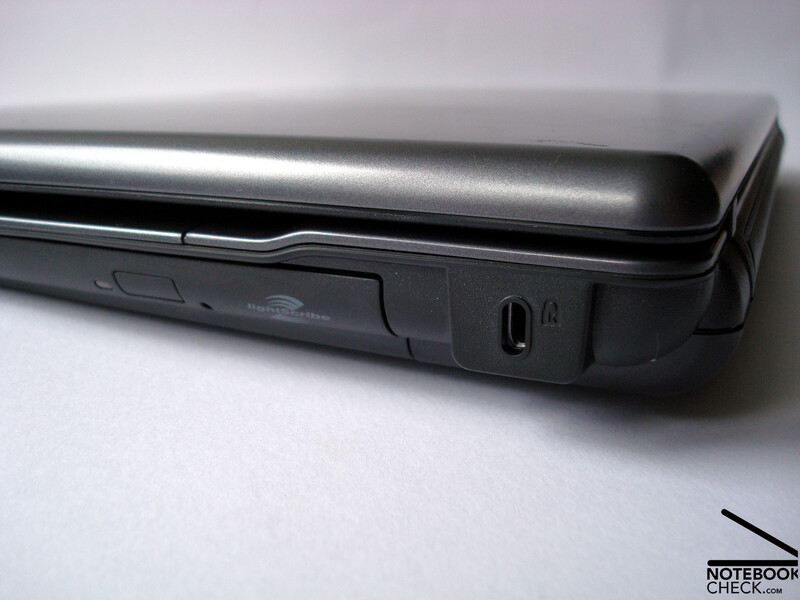 Also, it's only possible to use the ExpressCard port with USB devices underneath with an extension. Again, due to the small gaps between the interfaces, such limitations cause the system to fare considerably poorly. 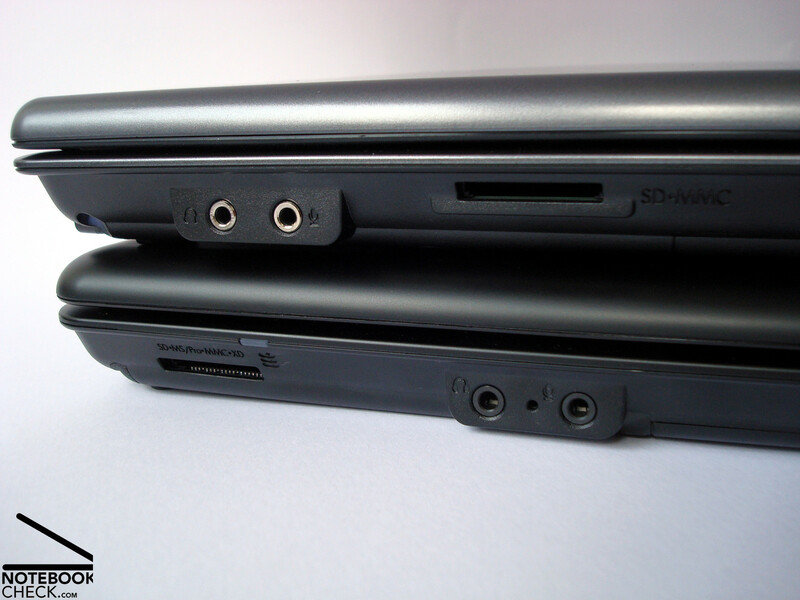 Successive models have at least partially resolved the problem by placing two additional USB ports on the right-hand side. 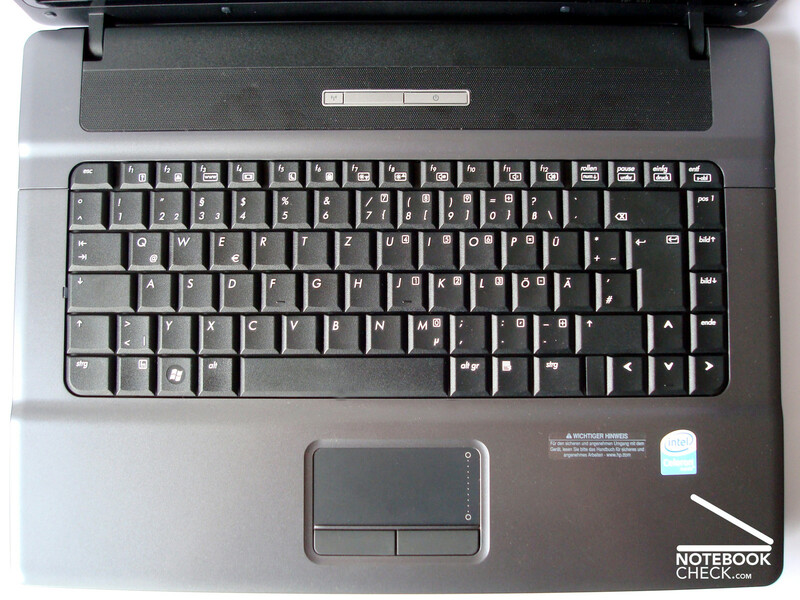 The keyboard leaves clear impressions with its poor layout and key-size and last but not least there is a relatively off-putting sound to the keys. For people who rarely type for long periods of time or for occasional users this is unlikely to be a problem. However, these shortcomings are of interest to more demanding users and if not the system's downfall, then the keyboard presents a major disadvantage. The touchpad, however, is accurate and has a simple interface. Also the scroll bar on the right-hand side, whilst with no haptic feedback, is worth a mention as it works well. 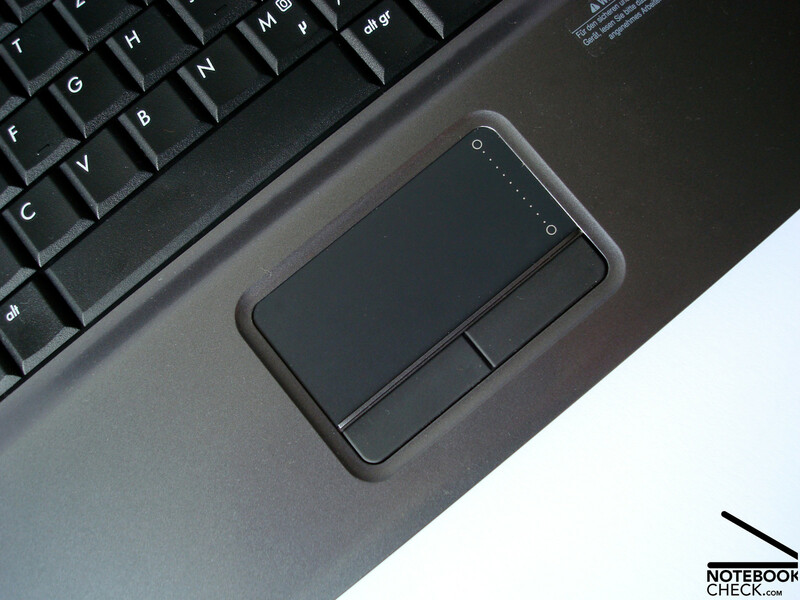 Whilst the touchpad keys are on first look attractive because of the rubber surfaces, on second consideration they disappoint because of the poor production quality, which is made clear by its poor fit and the sluggish response of the left button. 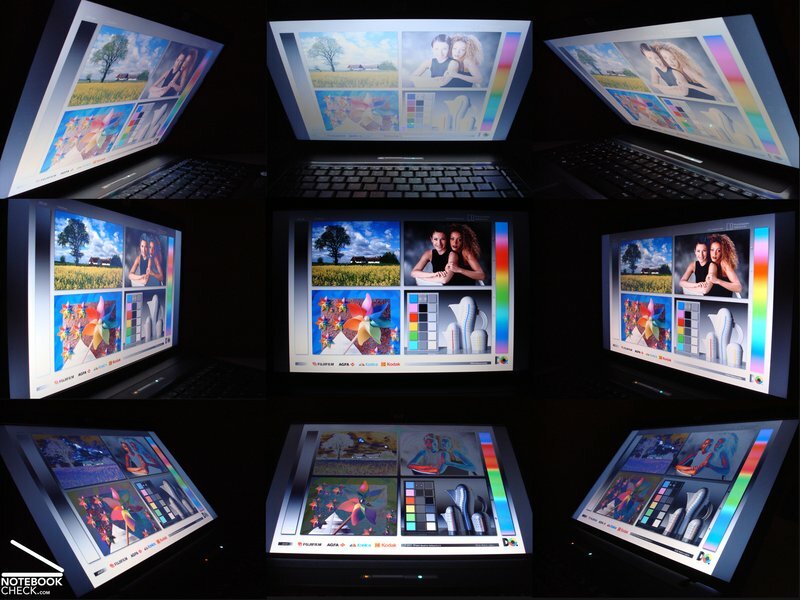 The HP 550 is, as previously mentioned, only available in one configuration and this is also true for the Bright-View WXGA Display with an aspect ratio of 16:10. The panel is from LG/ Philips and has a resolution of 1280x800 pixels, which is standard of 15.4“ screens. The overall good contrast of the earlier glare displays is not attained by many newer models. This is true for this display which, with a contrast ratio of 184:1, is below par. As usual, this is to be seen in the low saturation of colours in the palette of pastel colours. The brightness values and illumination give a considerably better picture of the system. With an average of 196 cd/m² and a brightness distribution of 80,5% the display gives good values and as a result the system shouldn't hide behind its significantly more expensive rivals. Although the system isn't designed so much for outside use, on the inside the high brightness values can at least compensate for the reflections caused by the display's glossy surface in unfavourable lighting conditions. However, the darker the image and the brighter the ambient light, the more obvious the reflections become. The quality of the viewing angles is roughly on par with other systems of its class, where the stability of the image falls when the display is tilted vertically, while horizontal viewing angles are consistently fairly stable and allow additional users seated next to the main user to enjoy a comparatively undistorted image. As mentioned previously, our test HP 550 FU408EAsystem came without a Windows OS and instead was equipped with FreeDos. The installation of Windows XP Pro was not without its problems, which only after removing and externally reformatting the hard drive was possible. Such fussing about does indeed permit savings to be made and should therefore be considered. However you can also consult the HP support site which provides drivers which are also included in its windows installation DVD, which allow you to bypass a lengthy update process after installation. For bargain hunters who have no Windows OS installation CD at hand, a variety of Linux distributions are available. For testing purposes we have used the popular Ubtunu 8.1 which we were very impressed by. Installation problems...? Error reports! (whether problems occur with the initial installation of Linux from Windows XP and it is a Windows XP-specific problem (such as driver problems), it is difficult to say in retrospect. Possible complications should be taken into about in any case.) Using a Linux OS is where the somewhat aged hardware, which is readily supported, can make headway. All devices are recognised without problems and all find their relevant drivers. After a successful installation the user can expect a tidy desktop, which users can get used to quickly, despite its 'otherness'. While certain programs like Adobe Photoshop or Microsoft Office are not available for Linux, for most windows applications there is a Linux alternative. In the above examples there is the picture-editing suite "Gimp" and the might Open Office. As far as work speed is concerned, it is on the same level as Windows XP but you also have no restrictions to deal with. Disc-burning software, browsers, E-mail, simple games, scanning software, video players etc etc are included and readily available. On the subject of noise levels, there is no difference between Windows and Linux. Surfing via WLAN saw a battery life that was 20 minutes longer, which suggests that hardware runs more economically on Linux. 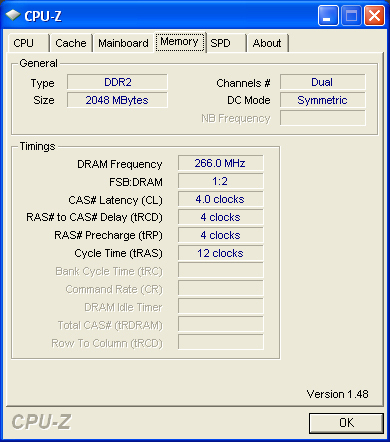 This also seems to confirm the minimal power consumption of 15.1 Watts which was recorded. The HP 550 is equipped with a Celeron M 550 CPU (2.0 Ghz / 533 Mhz FSB/ 1 MB L2 Cache) , 1GB RAM, an Hitachi 160GB hard drive and Intel GMA X3100 integrated graphics. 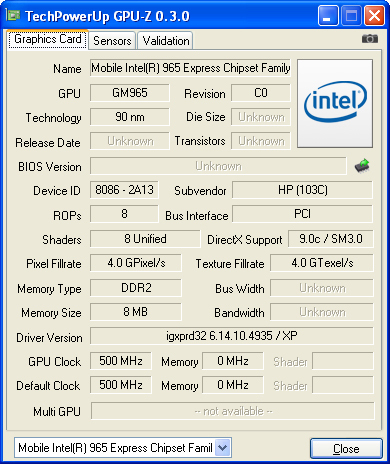 As a basis for the slimmed-down Intel GL960 chipset a maximum of 2GB RAM is allowed. This was confirmed when an additional 2GB module was inserted, resulting in a system crash. How powerful is our configuration? The system had somewhat sobering scores. The system achieved 2363 points in PC Mark`05 and 243 points im 3D Mark 06 which makes for no wonder laptop. 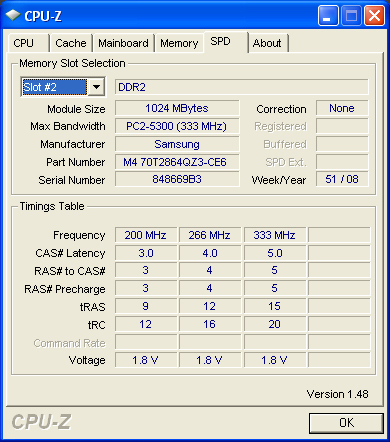 With an additional 1GB of RAM we measured 2417 points in PC Mark`05 and 266 points in 3D Mark`06), which means that an extra GB makes only marginal differences and are within the margin of error. However, some Photoshop actions are clearly more fluid with more RAM. 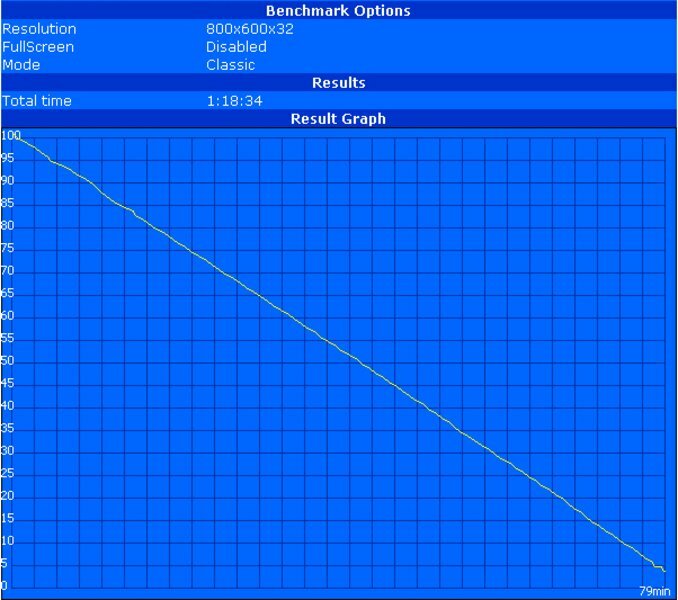 Whilst the current benchmark results give a clear comparison with other current notebooks, many applications like Office, the internet and modest picture editing feel surprisingly fluid. As soon as you try to run a number of applications at the same time, however, such as an anti-virus program and an internet browser with several windows open, you notice the lack of a second core which would relieve the load on the CPU. The X3100 is not at all capable of dealing with 3D-heavy applications like 3D games, 3D animation or CAD work. Whilst old games without demanding graphics requirements like Stronghold, The Settlers or Age of Empires are still playable, this system should be avoided if you have professional applications in mind. 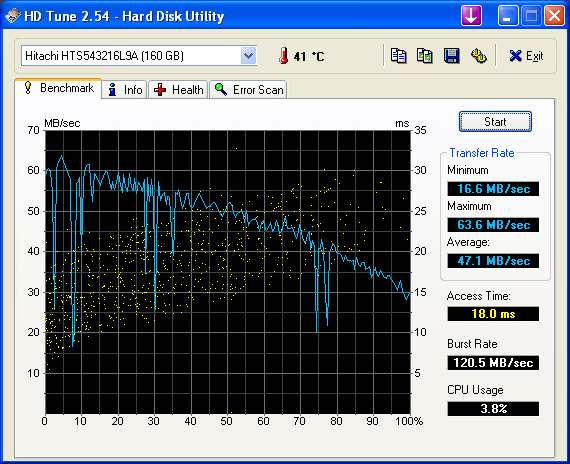 The 2.5" Hitachi 5400 rpm hard drive with a transfer rate of 47.1 Mb/s delivers acceptable results. With 160GB the hard drive is relatively large and should be able to provide for many home-office applications. The LG optical drive, which has in addition to the standard read/write function a Lightscribe function, has a relatively average read/write speed just like the HP 6735s's Samsung drive, but otherwise it works quietly and should satisfy most people. The overall operating volume for most uses is 34 dB(A) which is a quiet yet noticeable level. If you are using undemanding applications for word processing, spreadsheets or simple picture editing or internet tasks, the fan is at level one, where no noise comes out. What we considered negative and surely not to everyone's taste was the fan which would turn on and off every 20 to 30 seconds. A more consistent pattern would certainly be more pleasant. The noise level increases to 36.5 dB(A) during DVD playback due to the optical drive and when you really put the pressure on the HP 550 the volume increases to 38.4 dB(A) which isn't as unpleasant as you would think. The temperatures we obtained were very low and we could only record a temperature of nearly 40°C on the left of the underside on the ventilation slits. Therefore restrictions on use are not to be expected. (+) The maximum temperature on the upper side is 36.1 °C / 97 F, compared to the average of 33.9 °C / 93 F, ranging from 21.2 to 62.5 °C for the class Office. yeah, we hear something... The single inbuilt mono-loudspeaker is only for the least demanding of applications and the system's owner will quickly buy some USB speakers or use headhones. The loudspeaker has a highly tiresome mono sound with barely audible bass and middle tones. It can barely beat Granny's kitchen radio. 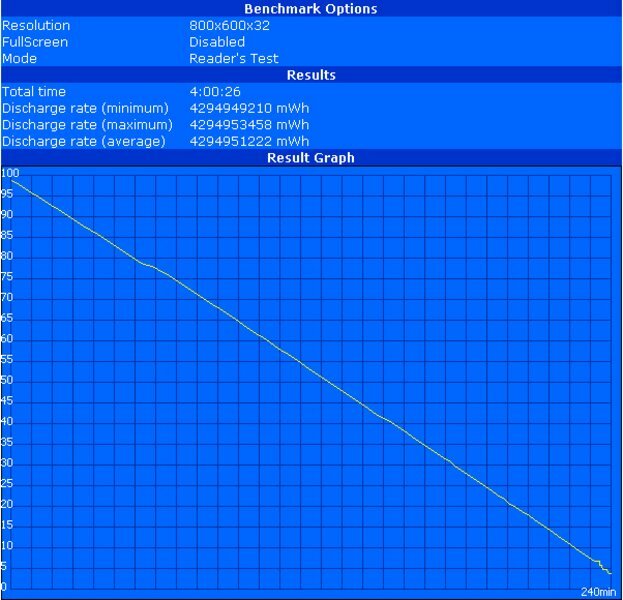 In the Battery Eater Readers test (maximal possible running time) the HP 550 reached 177 minutes with its standard configuration; a relatively respectable running time. 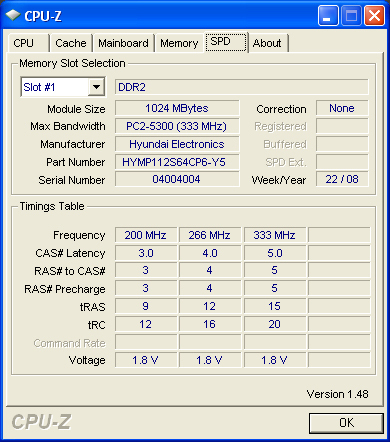 This is achieved by a minimum power consumption of 17.6W. 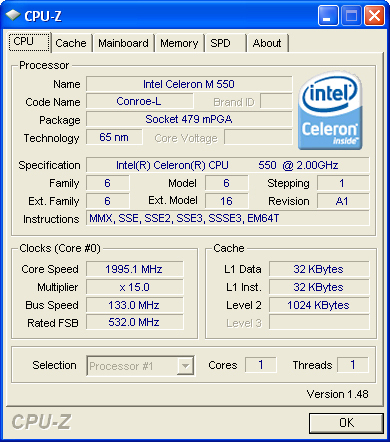 This is all the more respectable when you consider that Celeron M 550 CPU`s lack energy-saving technology such as Enhanced Speedstep which adjusts clock speed dynamically. Although the optional 8-cell battery life, with a capacity of 63 Wh, increases battery life to 240 minutes, when you consider the additional cost of 90,- Euro the savings benefits are completely undone. Those who think such an option would be best should consider the HP 6730s or the 6735s, both of which are equipped with an 8-cell battery. In the Battery Eater Classic test, which puts a heavy load on the system, the notebook achieved a running time of 79 minutes with its 6-cell battery (47 Wh). Even if such a heavy load would in practice not occur, at least it shows the extent to which the battery life degrades. If we compare the performance of the 8-cell battery, the battery life improves by 25 minutes to 104 minutes. Watching a film meant that we achieved a running time of 112 minutes with WLAN off, which should only just be long enough for most films. Surfing the net via WLAN had a running time of 135 minutes with a minimum of 79 minutes up to 177 minutes. This makes the system's mobility fairly limited and might therefore exclude many notebook-typical applications. The HP 550 is without doubt a very cheap notebook. It is useful for many tasks and in its configuration it is likely to be used, in spite of its dated hardware, to adequately met the needs of its users. With the low price you have to accept some drawbacks. The configuration options are limited to one model, Bluetooth is not available, some interfaces are placed impractically, and the case/processing quality will not please each potential customer. However, problems with the installation of the OS will not be arduous for every user, who may overcome them without help. Upgrade and expansion options are possible but taking into account the price of the system, it would be more reasonable to go for a more expensive competitor's notebook. You should take the HP 550 for what it is in order to exploit the full value for money that it offers. 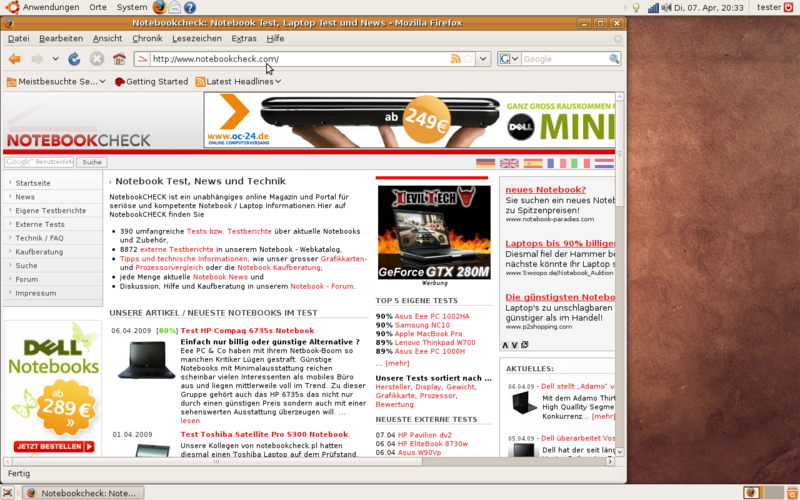 In spite of the reflective surface of the display and the relatively poor battery life for its class, the good Linux compatibility (Ubuntu 8.1) and the very, very cheap price that is lower than many netbooks really convinced us. Many thanks to Cyberport.de who kindly provided us with the test device. You can configure the device and buy it yourself here. In Review: HP 550 provided by Cyberport. The HP 550 is priced extremely attractively. Underside with easily accessible openings. 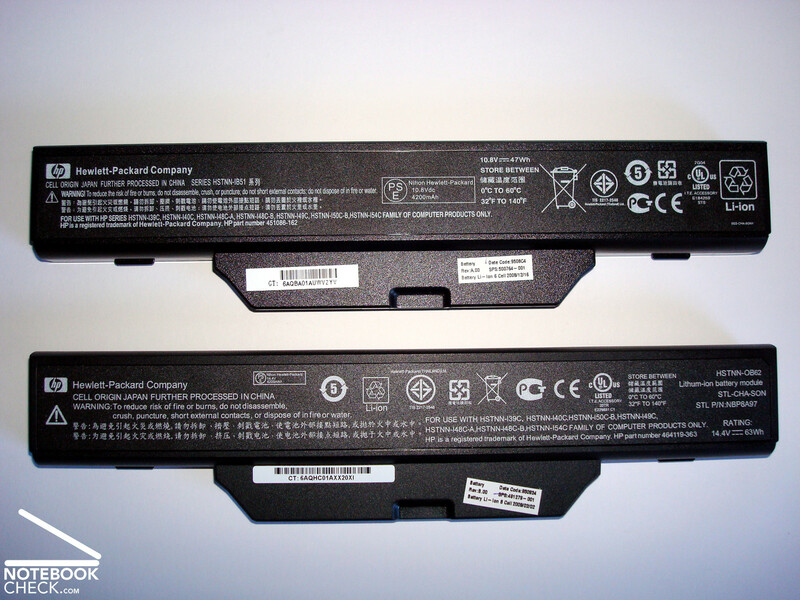 The same on the outside, they differ only in the number of battery cells, capacity and weight. A card reader and audio connections are in different positions. The card reader in the HP 6735s also accepts XD and MMS/Pro. 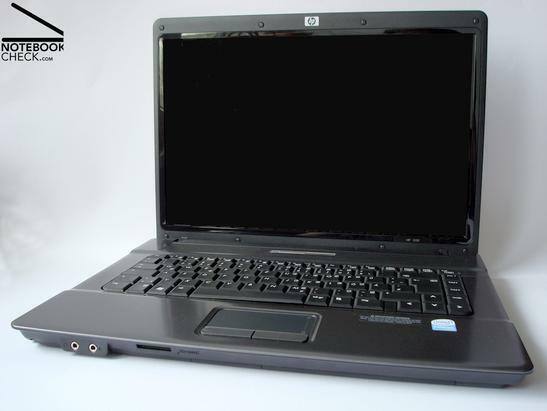 Below is the HP 6735s with an additional 2 USB ports on the right-hand side. 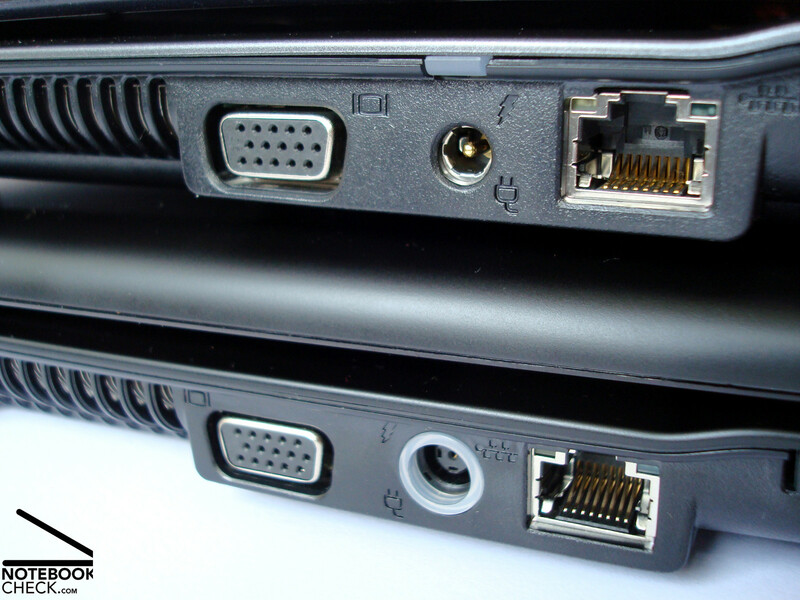 Power supplies are not interchangeable due to differing connections. 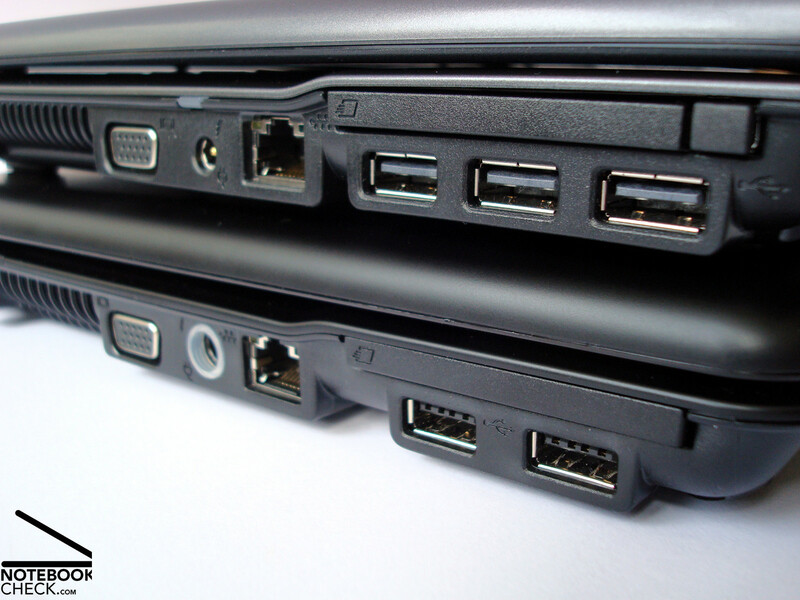 Above is the HP 550 with 3xUSB, below is the HP Compaq 6735s with 2xUSB. Heavy congestion at the USB ports. 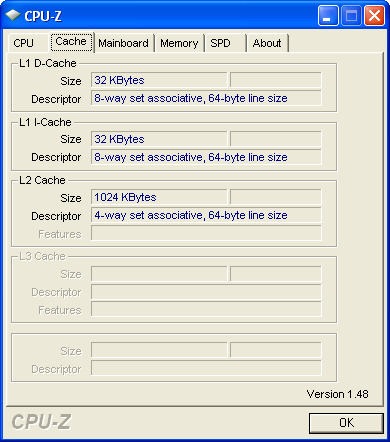 The biggest shortcoming of the Celeron M550 CPU is a lack of energy-management technology. No room for connections on the rear. Concentrated positioning of connections with a lack of space. 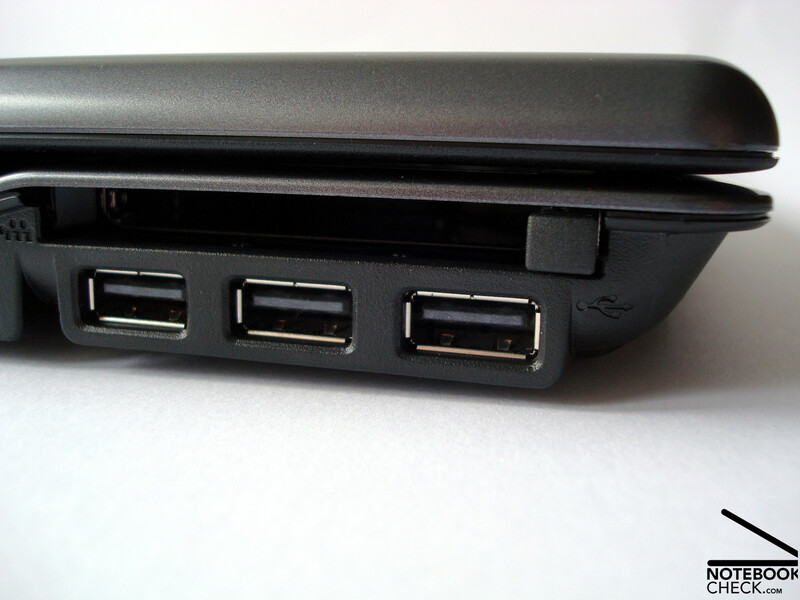 3xUSB under the ExpressCard/54 Slot. Kensington Lock and Lightscribe DVD-burner from LG. Imprecise buttons with a low-quality look. 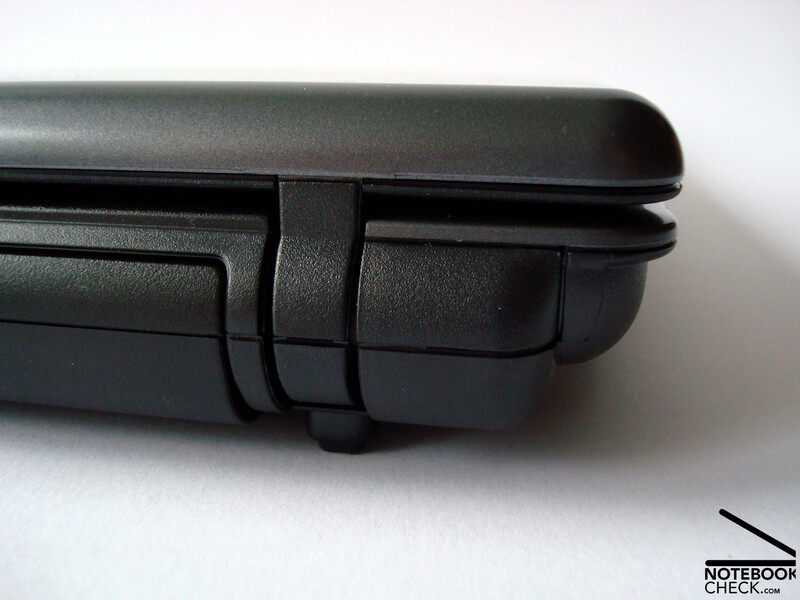 The hinges take on the role of the screen latch yet are completely overwhelmed in transport. The titanium-coloured surfaces please through their low-maintenance and subtle feel. Only one configuration with a reflective display is available. 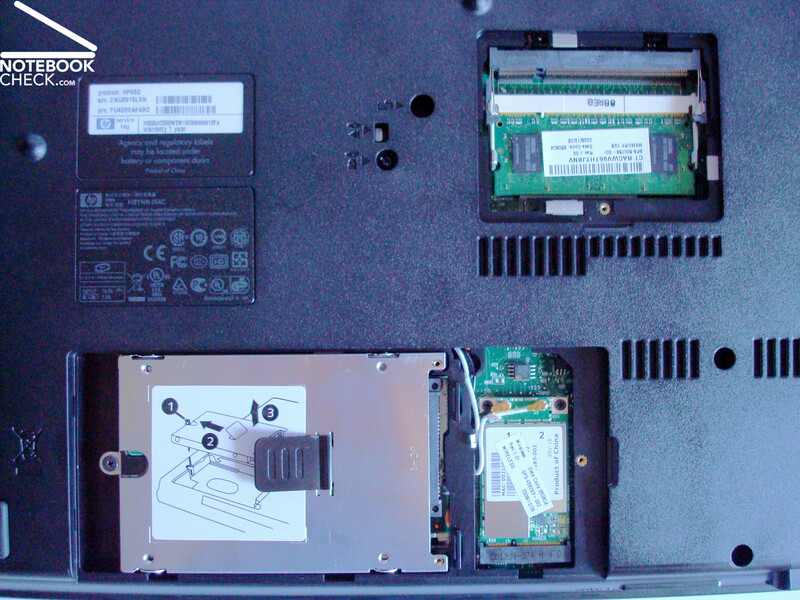 The hard drive had to be removed in order to install XP, RAM is fast, easily and cost-effectively upgradeable. The display despite its glossy surface and the relatively good battery life. Very much... Considering the price we would like a quieter fan, a better distribution of connections and a proper latch for the screen. 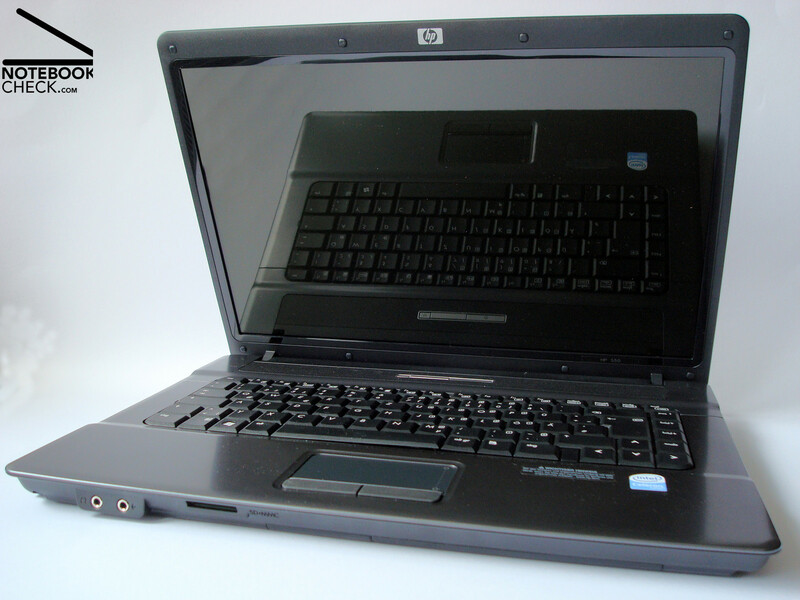 That HP can offer the HP 550 at such an extremely cheap price that even many netbooks can't undercut. For a little moe, there are already competitors equipped with dual-core CPU's. 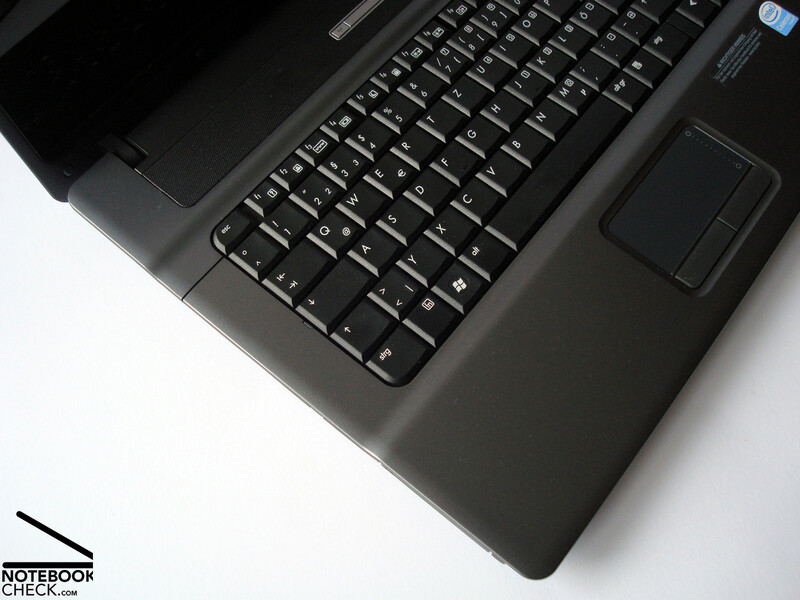 Otherwise the HP 550 competes with alternatives such as the Lenovo 3000 N200, the Acer Extensa 5220, 5230, Dell Vostro 860 or the MSI Megabook VR602.